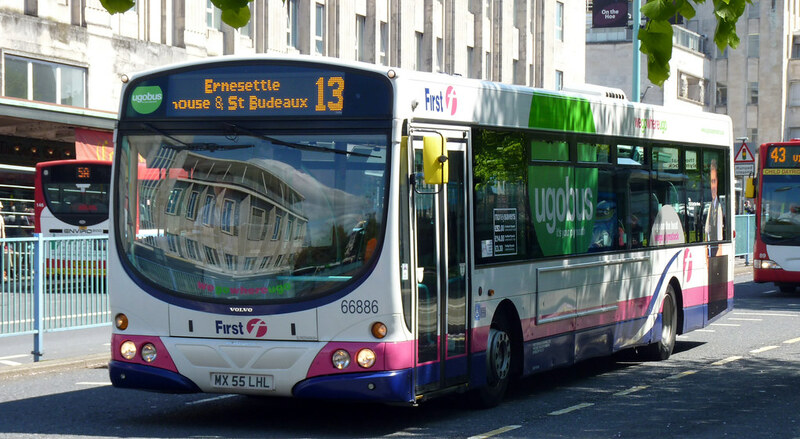 Due to the increased congestion around Drake Circus Shopping Mall on Coburg Street due to the works at Gdynia Way and at the request of our customers from Sunday 6th June we will reroute ugobus services 1/1A and 13 via Western Approach and Derrys Cross and will not serve the bus stops outside the Art College or on the Viaduct. The services will revert to their normal route once the Gdynia Way road works are completed. FIRST PLYMOUTHDue to the increased congestion around Drake Circus Shopping Mall on Coburg Street due to the works at Gdynia Way, and at the request of our customers from 6 June we will reroute ugobus services 1/1A and 13 via Western Approach and Derrys Cross and will not serve the bus stops outside the Art College or on the Viaduct.The services will revert to normal route once the road works are completed.